The fall 2012-2013 Georgia deer hunting season opens in two days (September 8th) for bow hunters and Georgia hunters that will be hunting with firearms hit the woods on October 20th, the official open of the firearms deer season. With all the excitement over the hunt, archery and firearm safety can get lax. As I write, weapons owners are taking their bows and firearms out of their safes for cleaning in preparation for the upcoming season – and that can mean danger for children. Many unintentional gunshot wounds and deaths occur in or nearby the home of family friends or relatives. When a child is injured by a weapon and that injury could have been prevented by the owner of the weapon or owner of the premises where the injury occurred, a careful investigation by an attorney is advisable. In what kind of situations may the family of a child injured or killed by a gunshot or arrow seek legal help? ANYTIME a child is injured legal relief may be available. I’ll mention a few common situations where legal liability will arise, but I will by no means exhaust the possibilities. 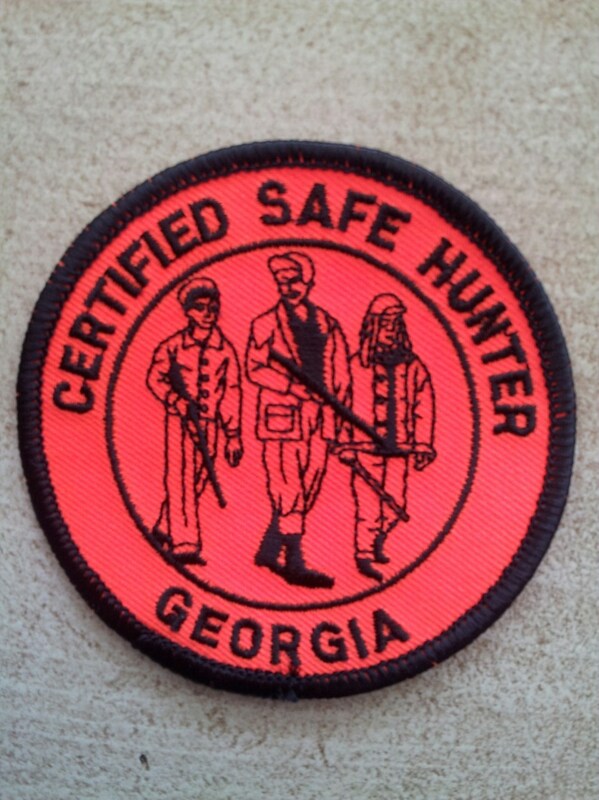 Anyone who has been through one of the Georgia hunter education courses has been trained how to protect children from gunshot injuries. And that training creates legal duties to any children that are in the hunter’s home or vehicle or other premise where a hunter is carrying or storing archery or firearm equipment. One fundamental rule of firearm safety is Muzzle Control. A firearm must never be pointed at or near a human being. At all times it must be carried with the muzzle pointing away from others. Hunters are taught that even if they feel certain the firearm is unloaded they must treat it as if it is loaded and maintain Muzzle Control. Violation of this basic safety rule with injury or death resulting could form the basis for a successful injury claim. Another firearm safety basic is that whether there are normally children in the home or not, ammunition (cartridges, shot shells) should be stored AWAY from the weapons themselves. Both live ammunition and weapons should be kept under lock and key away from children and irresponsible adults. Live ammunition can explode if played with and dropped or placed near high heat. Children should never be allowed to handle live ammunition without adult supervision. Violation of these safety rules can create a situation where a child finds a gun and ammunition together and loads and fires the weapon. At firearm owner that violates these rules with injury or death resulting is going to face legal liability. 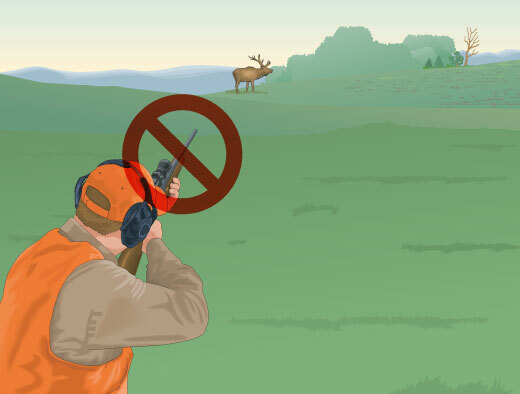 Did you know that hunters are taught that the first thing they must always do is to check to see if a weapon is loaded? Every time they pick it up. Even if another person checks first, hunters are duty bound to double check the weapon to be sure it is unloaded as soon as it is handed to them. The first thing they should do is check the action and magazine (if one is present) to ensure no rounds are present. Another situation that can lead to tragedy is when weapon owners get careless during target practice or plinking (or hunting). Hunters and weapon owners are legally responsible for what comes out of their weapons. One fundamental of firearm safety is to be sure of the target and what is in front of it and beyond it. If a shooter cannot see what lies beyond the target they have a duty to not take the shot. The illustration below shows one situation where the shot should not be taken due to inability of the shooter to see what lies over the hill. If a hunter took the shot in the above illustration and someone was injured or killed as a result he would have legal liability. I could go on and on about safety rules in the home and field. I haven’t even mentioned some of the most egregious safety violations such as hunting and handling firearms after consuming alcohol or drugs. Injuries that result from this type of violation are inexcusable and form the basis for a punitive damages claim against the offender. If your loved one has been injured or killed in a hunting incident or in or around the home of family or friends where weapon safety rules were not followed, please call me. I understand it can be hard to know what to do when friends and family are involved and your child is hurt. Calling me does not obligate you to file suit against friends or family but it will educate you about what legal relief may be available to your child and your family.